When the weather warms up and the sun starts to shine, you may want to start spring cleaning your house. Spring cleaning is a great way to get rid of dirt and clutter while reorganizing your belongings. This cleaning process, however, may also set allergens airborne and expose you to chemicals. Here are a few things you can do to help mitigate that risk. During your spring cleaning, you will likely stir up dust, pollen and pet dander. These things may cause an allergic reaction or respiratory problem. You also may experience a negative reaction to certain cleaning chemicals. To help protect yourself from these hazards, always wear a mask and sturdy rubber cleaning gloves. Are you working with powerful cleaning chemicals? If so, proper ventilation is absolutely essential. When you use oven cleaner, turn on your kitchen’s exhaust fan. If using chemicals in a small bathroom, open windows and run a fan to help ensure good air circulation. 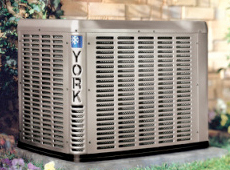 Does your home have a central air system? You can use this system, in conjunction with filters, to cleanse the air of allergens you stir up while cleaning. 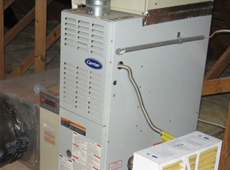 Before you begin spring cleaning house, check to see which type of filter you have. Standard filters tend to be inexpensive, but may miss small particles of dust, pollen or pet dander. These types of filters are most commonly made of fiberglass. A pleated filter may be significantly more effective than a standard one, depending on its number of pleats per foot. Some of these filters can be washed and reused. High efficiency filters are likely the best choice to help ensure that most allergens are removed from your home. 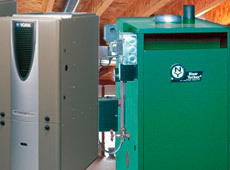 Studies have suggested that high efficiency filters may remove up to 85% of pollutant particles from your home’s air. When it comes time for spring cleaning house, do not forget about your home’s air quality. 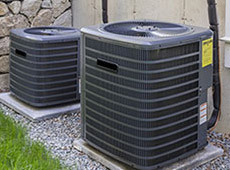 Running your central air system with a good filter may help keep you safe by removing airborne allergens and pollutants. This entry was posted in Maintence and tagged hvac system, spring. Bookmark the permalink.